Each Monday in January, members of the Studio Calico Project Life® team will be sharing a new PL week along with their thoughts and processes on putting a week together. These PDFs will contain a PL spread, as well as 5-7 process photos and a description of how they work on a week. Our Creative Team members will also be sharing their top tips for Project Life. On the 1st of each month in 2014, our Creative Team will share five journaling prompts, five photo prompts, and 5 Project Life sketches. Monthly challenges - all year long! While supplies last, students will receive this awesome stamp set! Everyone will receive printables by Hello Forever, digital stamp brushes of the class set, a template by Catherine Davis, and cut files from In A Creative Bubble & Shanna Noel Designs. The class is $29 and you can sign up here. Registration ends December 31, and class starts January 1. I hope to see you there! 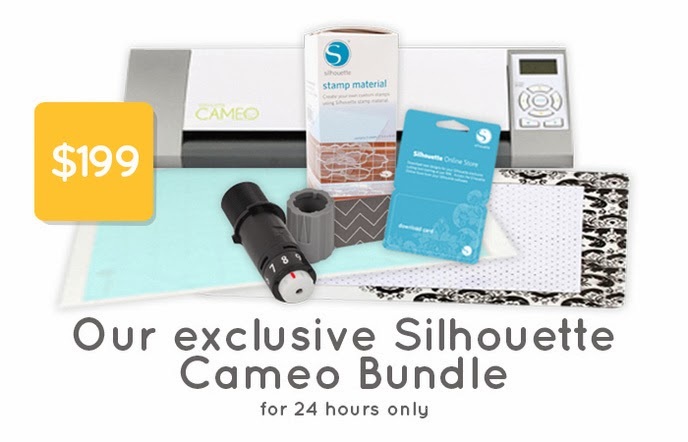 And because today is Cyber Monday, I want to be sure you know about the amazing deal at Studio Calico. For 24 hours only, you can get the Silhouette Cameo Bundle for $199! That is the best deal I've ever seen on the Silhouette! I have never regretted buying a Silhouette Cameo. 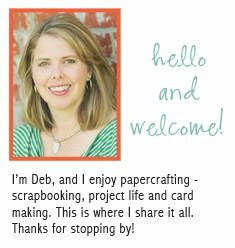 I use it all the time for cutting printables, titles for my layouts, and cut files. One more Cyber Monday deal... just for today some of the past month digital files are being brought out of retirement. Check them out in the Studio Calico Digital Shop!